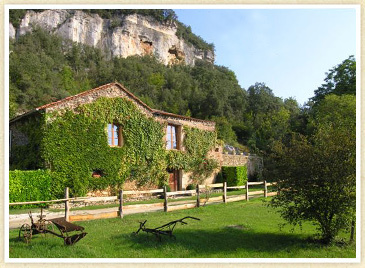 There, where morning dew meanders through the Vézère valley like a silver trail and where tens of thousands of years ago Neanderthals wandered round and found their peace, a few centuries ago a settlement was established. These privileged inhabitants are daily witnesses to a wealth of nature, forests, hills, valleys and clean air. Such as, for example, the early morning chirps of the many birds, butterflies feasting on nectar of, the papilionaceous flowers, clear star-spangled sky and the evenings with bats, with the background grunting of deer (September/October), hunting for insects. Surroundings in the universe, which even the aboriginal inhabitants must have experienced as paradise. 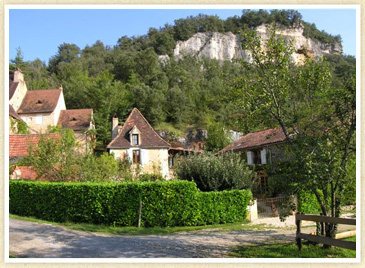 Below is a picture showing the gite. 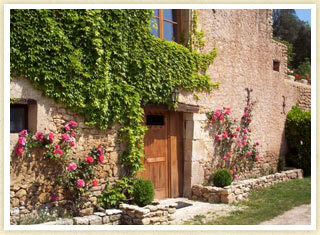 our domaine comprises a Perigordian farm with annexes. 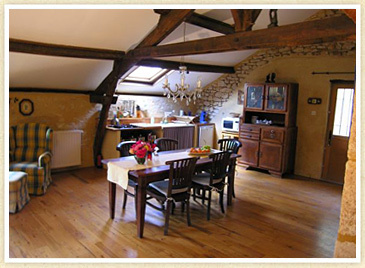 We have a beautiful “gite” (house, 165 m²) with remaining authentic elements and in which recently a chambre d'hôtes (guest house) has been realised (35 m²). Here you will find a large living- and dining room offering among other things Flat Screen TV (satellite), DVD player, internet connection (WIFI) free of charge, a bathroom with shower and toilet, hairdryer and sink, kitchen including a dish washer, a combination microwave and a Senseo coffeemaker; two separate sleeping quarters, one featuring a single bed and the other a double. 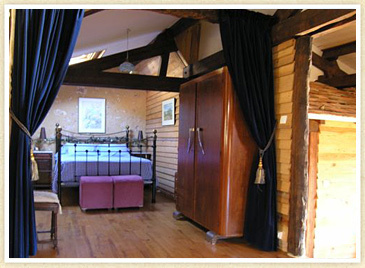 The entire gite is fitted with central heating, ensuring a comfortable stay during all seasons. As the complex is divided over different levels, a staircase must be used. 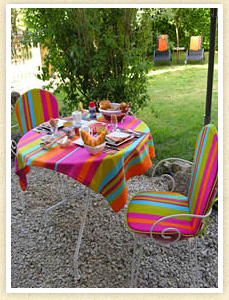 On the private terrace you will find deck chairs, a dinner table with chairs and a barbecue. 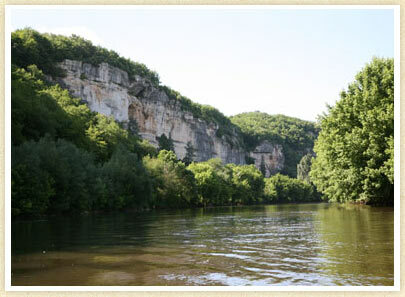 Here you can enjoy the panoramic view over the Vézère valley. It all exudes peace and quiet while stress is an illusion here. 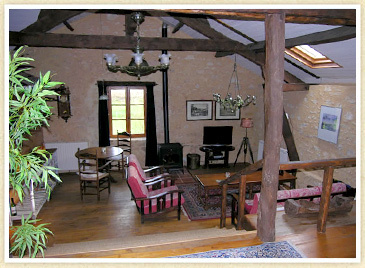 group of people for a while, then you can rent this “gîte”. 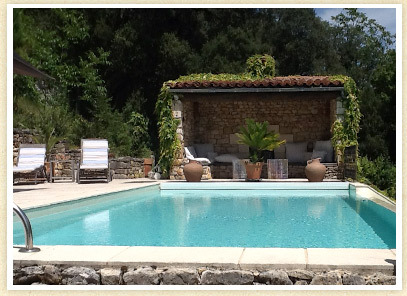 Do not forget to look at our Facebook page for the latest offers and information. 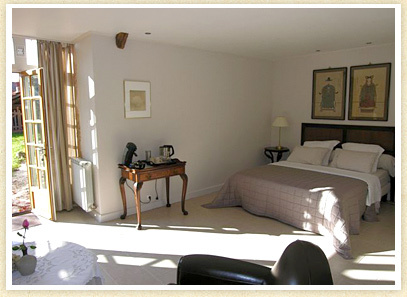 A luxurious, roomy and stylishly decorated room (35 m²), with its own entrance, double bed (box spring with duvet), Flat screen television, comfortable sitting area. 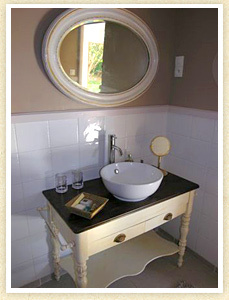 Bathroom with shower cabin (massage shower) toilet and sink. 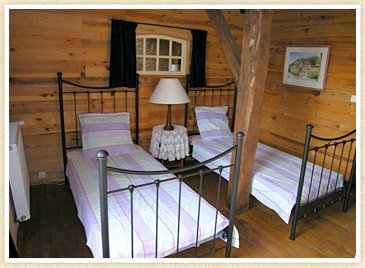 Facilities to make coffee and tea (Senseo + kettle) and refrigerator. Tosha Belgraver, Le Peuch St. Sour, 24620 Les Eyzies de Tayac.